In Koh Chang, you can always find shared pick-up taxis in main road which is not as same as metered taxis in mainland. They usually charge you as a person, the price is negotiable if you are wit group. Conversary, they charge you more if you are alone in a taxi. Here is the usual price to get to other towns. If you have an experience of driving motorbike, this is the most flexible and fun way to discover the island. You can visit different town easily instead of taking taxi all the time. However, please be careful all the time, many tourist get injured in the island due to its rough and winding roads. 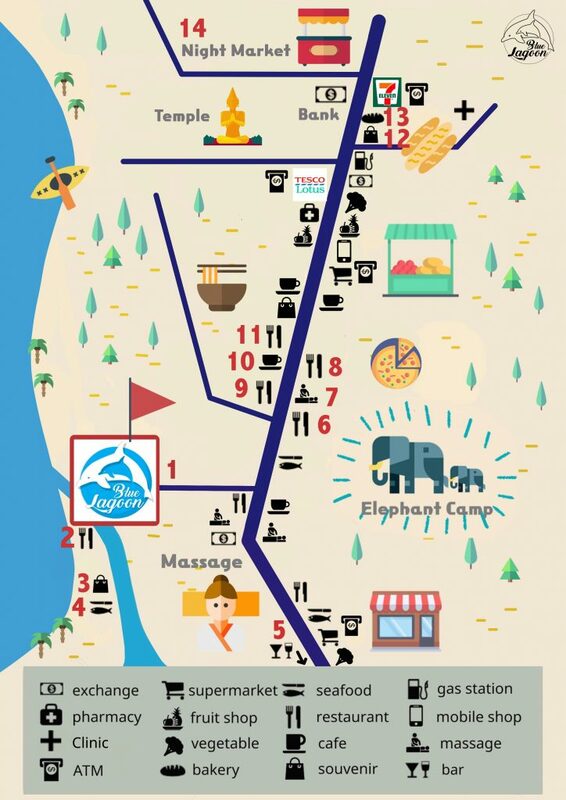 In Blue Lagoon, we lend motorbike for 200 Baht/day, please ask at the reception during 8:00-22:00. 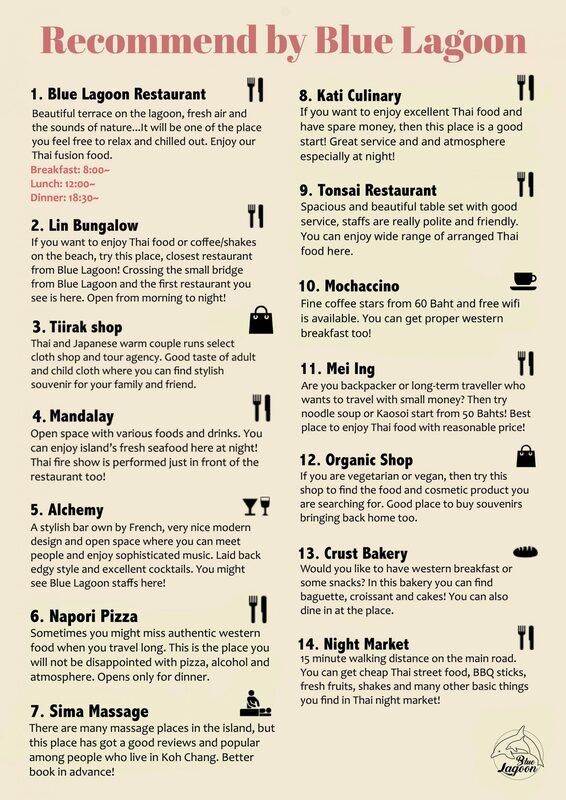 Download our Travel Guide here!